Professional grade upholstery fabric cleaner suitable for use on furniture and auto upholstery. Water-based, easy to use and Australian made, this cleaner for upholstery fabrics is perfect for spot treating stains and complete cleaning jobs. Keep this full strength upholstery stain remover and cleaner on hand for when life’s little accidents happen. Your couch and car seats will thank you. 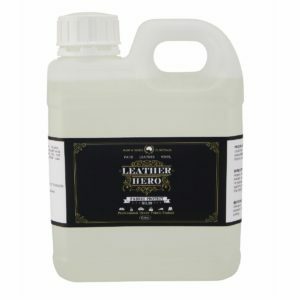 Leather Hero cares for your fabrics too. 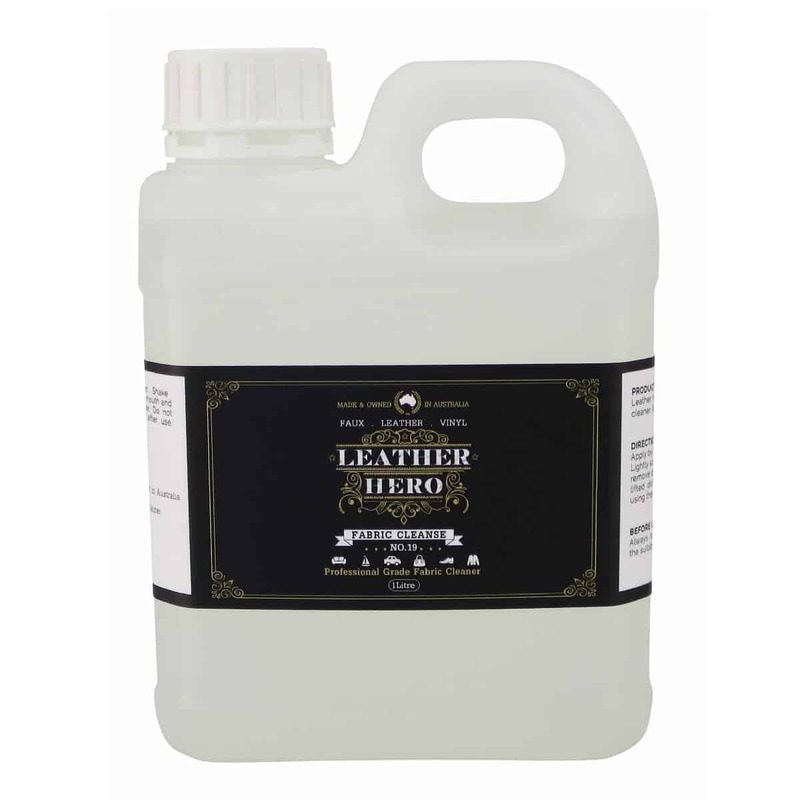 Fabric Cleanse (No.19) is commercial grade, water-based upholstery fabric cleaner. Ideal for use on fabric furniture upholstery as well as automotive trim. Make light work of removing everyday spills and stains caused by oils, pets, foods, drinks, makeup and other organics. It’s an easy to use, blot-on-blot-out cleaner that’s perfect for treating isolated marks and stains or for all over upholstery cleaning jobs. 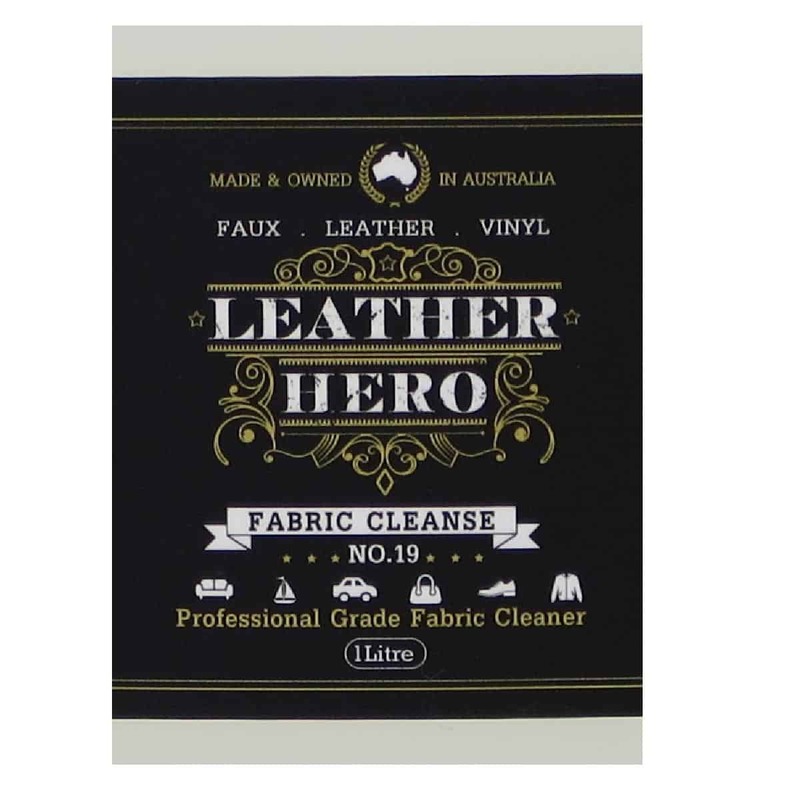 Keep this powerful Australian made upholstery stain remover and cleaner on hand at all times. Your couch and car seats will look great for it. 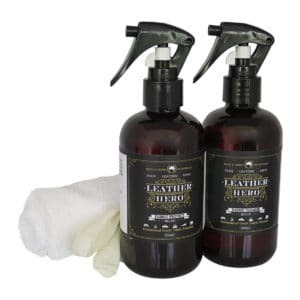 Leather Hero Tip: Catch spills and marks before they set in and become potentially permanent stains.